Carl Millöcker was born in Vienna, the son of a goldsmith. He showed musical talent at an early age and formally studied piano and musical theory at the Vienna Conservatory. His excellence as a flautist attracted the attention of Franz von Suppé who employed him for the Theater in der Josefstadt orchestra where he played from the ages of 16 to 20. Suppé helped him obtain a position as theatre conductor at the Thalia Theater in Graz. There Millöcker produced his first stagework in 1865 entitled Der tote Gast (the dead guest). In the following year, after a short conducting engagement at the Theater an der Wien, he moved to the Harmonie Theater where he had his first success as an operetta composer in 1867 with Diana. He moved to Budapest where he produced Fraueninsel, influenced by the then famous Offenbach. For 10 years he was principle conductor at the Theater an der Wien where he also composed a number of burlesques to meet the needs of the Theatre. His aim however, was to write popular, folksy operetta and his first major success was Der Verwunchenen Schloss (The enchanted castle) in 1878. As he wrote further operettas his melodies became richer with more accomplished instrumentation and the style more cosmopolitan. 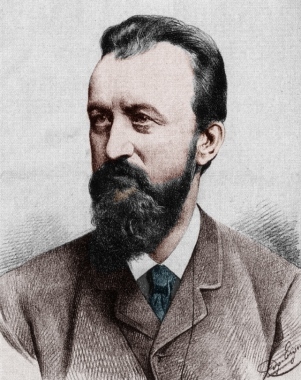 His masterpieces were Die Dubarry, Der Bettelstudent and Gasparone produced in 1879, 1882 and 1884 respectively, still in popular German speaking repertoir to this day. The music was not only attractive, but the librettos were clever and amusing. Der Bettelstudent became an international triumph which made both him and the Theatre wealthy and has had many thousands of performances to its credit. In 1894 he also produced Der Feldprediger, which became more popular on Broadway than in Vienna. Millöcker bought himself a villa in nearby Baden bei Wien, of which only a plaque remains. He was unconcerned with critics often belittling his works when they were compared with those of the more popular Suppè and Johann Strauss. He had reached his peak with the 3 operettas and in the remaining years of his life, lesser successes were Die sieben Schwaben, Der arme Jonathan, Das Sonntagskind (with a Scottish backround) and Der Probekuss. He died in the last hours of the 19th century, a few months after Johann Strauss the Younger. Millöcker is regarded as a leading operetta composer of the Golden Era. Much of his music was arranged into waltzes, polkas and marches, like Strauss and Ziehrer, only not as rigorously. However, many attractive pieces, either arranged by himself or others, remain in Viennese repertoir, less frequently heard nowadays. He wrote a relatively small number of unrelated compositions, and three posthumous operettas were produced from his music.